Fruitless Pursuits: FPcast! The Fruitless Pursuits Podcast for November 18th 2013! Pieces of Eight! FPcast! The Fruitless Pursuits Podcast for November 18th 2013! Pieces of Eight! 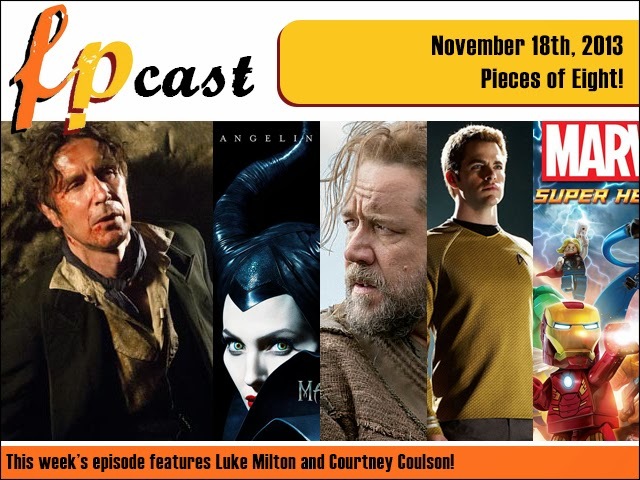 It's a short one this week as Luke and Courtney sleepily muse on the ancient Angelina Jolie in the Maleficent trailer, Big Russ Crowe as Noah, a new Star Trek director, Monster High, the Lego Marvel video game and... Paul McGann, the Eighth Doctor's, return to the screen! Plug this lean 35 minutes into your face!